We just finished our pooja and kids are running around. While I thought I would quickly wish and share our this year’s pictures. This year our twins joined us for getting the Ganesh Idol home. They were so amazed by the crowd and the many Ganesh Idols on display. They had learnt Ganesh prayer and knew couple of rituals done for Ganesh’s birthday. When they saw the umbrella for the idol, they also wanted one for each. Finally after the shopping we came back and started the pooja preparation, which I went on with my neivedhyam preparation. 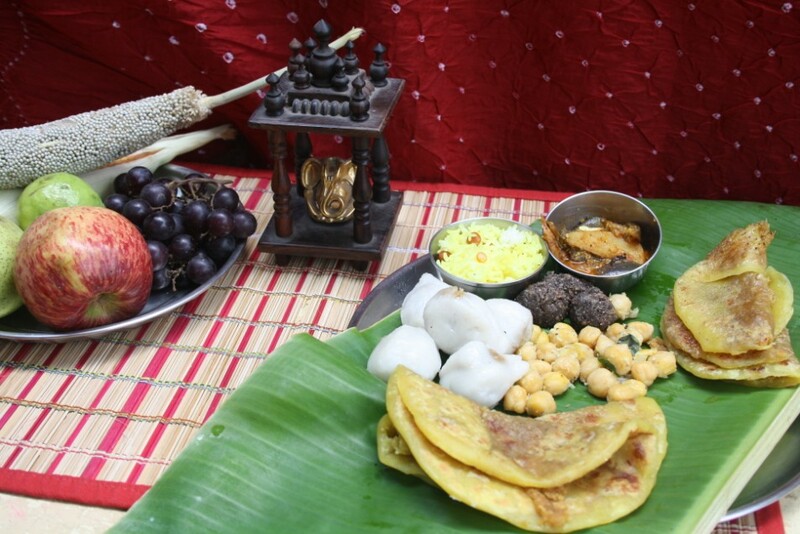 We need to make the regular dishes for this pooja, so only new one I got around making was the Coconut Poli. Last year was an elaborate three day affair, while this year we decided to do the pooja for a day. Wish ya happy festival,,,everything looks so delicious,. 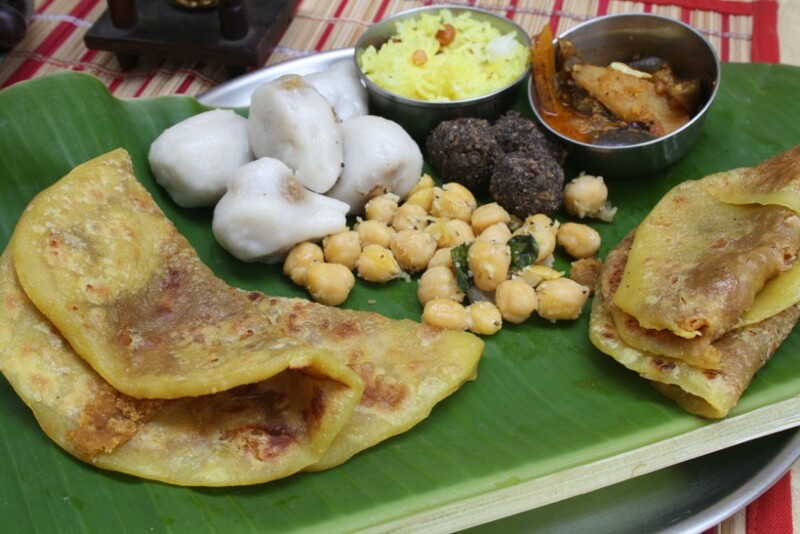 HAPPY VINAYAGAR if i if i will be there, no prasadam for u… i can have all these …. 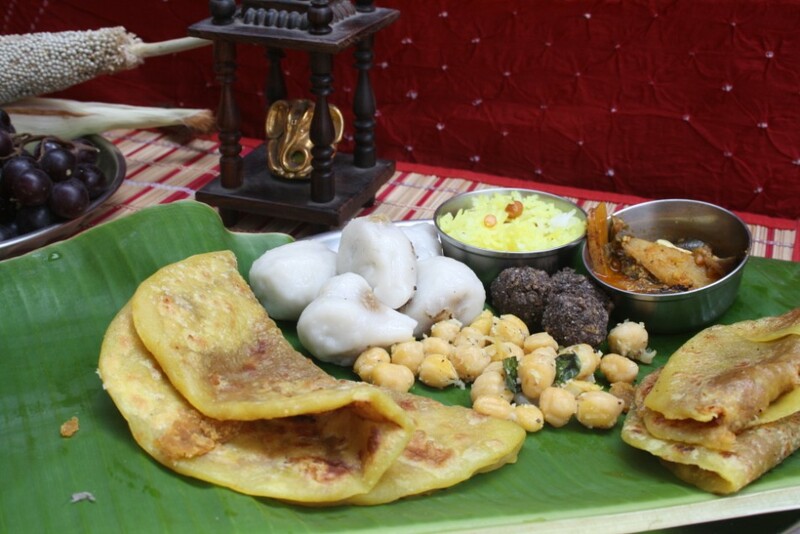 looks yumm…..wish u happy ganesh chaturhi…. Happy Ganesh Chathurthi !!! Lovely Pooja !! 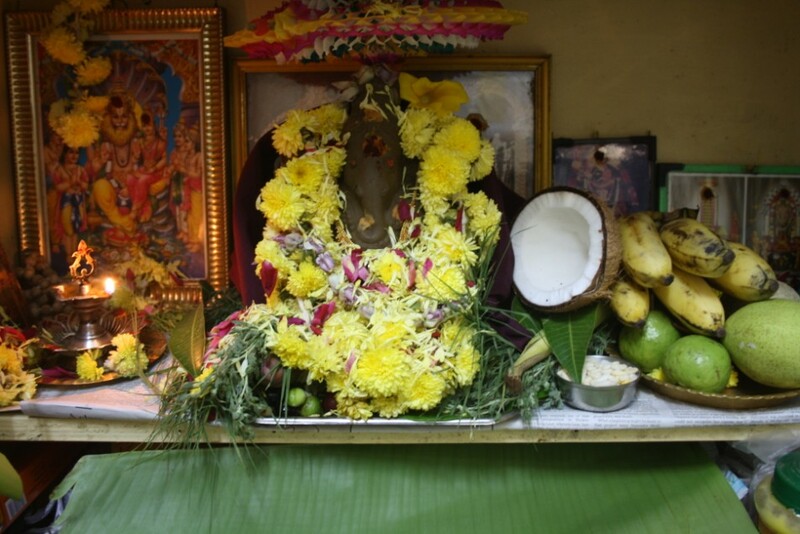 Happy vinayagar chathurthi wishes to you too..wonderful prasadams..